Here we have busted the common misconceptions about garage doors. Many homeowners believe that garage doors can spoil the appeal of their home. Then there are the people who think garage door doesn’t require maintenance. Most homeowners don’t get garage door installed as they believe that the doors produces noise. Well, these are some common misconceptions surrounding garage door. And you should not pay heed to such myths as they will not only create the confusion, but also influence your decisions regarding the garage door. 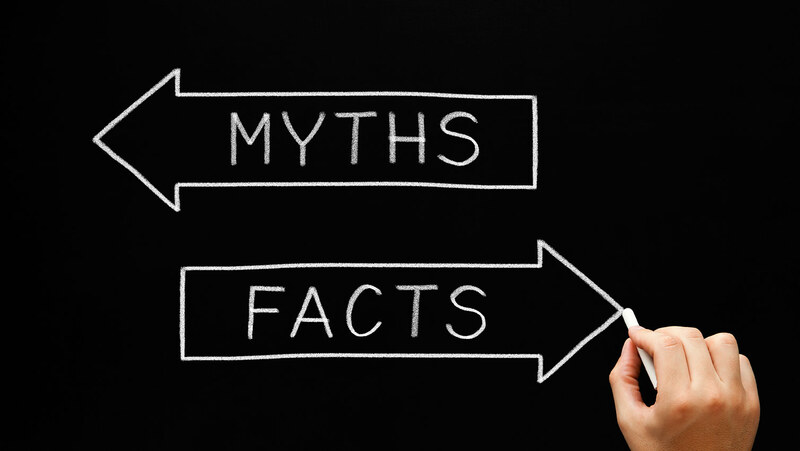 So, let us debunk such common myths about garage doors. Most homeowners don’t go beyond wooden or steel garage door or they are not aware of the variety of garage door. Garage doors are made of variety of materials such as aluminum, steel, and wooden. All are priced differently and vary on the features like quality, security and durability. If you think so, you need to think again. While you can do simple maintenance tasks like greasing or cleaning of the garage door on your own, you should call a technician when it comes to replace or repair the door. This is because garage door has a complicated mechanism requiring a professional handling.If you do it yourself, chances are you end up with messing the things. Besides, they can pose a threat to the life if they accidentally fall with their 300 pound of weight on your ribs. So, don’t put your life in danger for sake of saving few dollars and time and call a professional garage door technician. Garage doors are not like ordinary home doors as they are equipped with mechanical parts. These parts are worn out or fall out of alignment over the time. Furthermore, the garage door’s functions are affected by corrosion, blockage and weather. This is why you need a maintenance check from time to time to extend its life and improve the functionality. Yes, the statement is true in case you have an uglier and rusty garage door. Garage door makes the major part of your home exterior and visible from the distance. If it is rusty and worn out, your home won’t look good. On the other hand, a sophisticated and well maintained garage door will add to the appeal of your home. Most homeowners compliant that their garage door produces squeaky noise while opening or lowering down. This is because their garage doors are not maintained, greased and aligned. Excessive noise coming from your garage door means it is time to call a garage door technician. This doesn’t make sense. While garage door opener may seem optional or unnecessary to you now, think about when you have to park your car inside when its snowfall and you are required to open the door immediately. Garage door opener ensures you convenience, safety, low energy use, and peace of mind, especially in emergency time. So these are the common misconceptions about garage doors we have debunked here.